The numbers are in. The American Meteorological Society’s State of the Climate in 2013 shows that the vast majority of worldwide climate indicators continued to reflect trends of a warmer planet. This report, released in 2014 and compiled by hundreds of scientists from organizations around the world and coordinated by NOAA’s National Climatic Data Center, used dozens of climate indicators to track patterns, changes, and trends of the global climate system. Our ocean is a vital component of the climate system, and therefore many aspects of it can be studied as climate indicators. For example: The globally averaged sea surface temperature for 2013 was among the 10 highest on record, with the North Pacific reaching an historic high temperature. Rising sea surface temperatures can increase the destructive potential of tropical storms and have major impacts on ocean life. The Arctic experienced its seventh warmest year on record, and it is warming at twice the rate of lower latitudes. This is called “Arctic Amplification.” Arctic sea ice extent was the sixth lowest since satellite observations began. 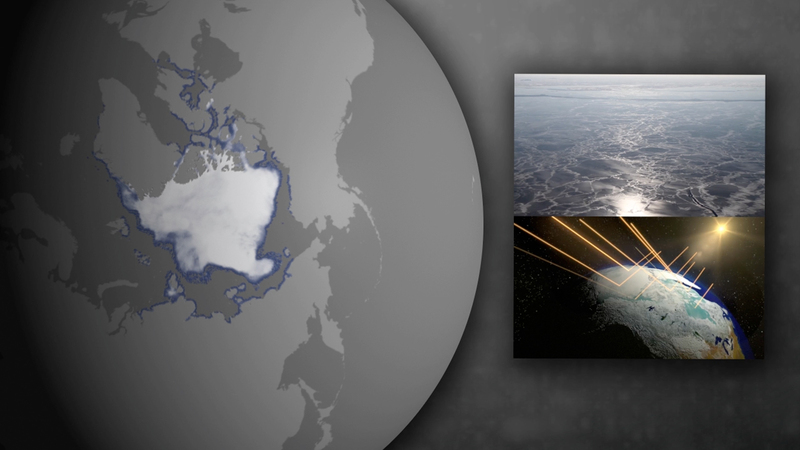 Arctic sea ice exerts a cooling influence on the climate by reflecting sunlight, and is an important habitat for arctic animals. 2013 global average sea level was 1.5 inches above the 1993-2010 average, which is the highest yearly average in the satellite record, and on pace with the trend of ~3.2 mm per year over the past two decades. Rising sea levels threaten coastal communities, infrastructure, and fish and wildlife habitats. Our ocean and climate are inextricably linked, so it’s important that we continue to study how and why they are changing. For the full report, and to learn more about our climate, visit ncdc.noaa.gov/sotc. NOAA is working with partners and the public to build a climate-smart nation that is resilient to climate and weather extremes, and long-term changes.